Located in the heart of Mississauga, Streetsville, "The Village in the City" is a quaint village full of rich history. Streetsville is home to the highest concentration of historical buildings in Mississauga and is also home to the oldest Cenotaph in the city. Streetsville Historical Society collects, preserves and promotes interest in the general history of the Streetsville area. The focus on the SHS is local history, genealogy and preservation of the rich history of Streetsville. 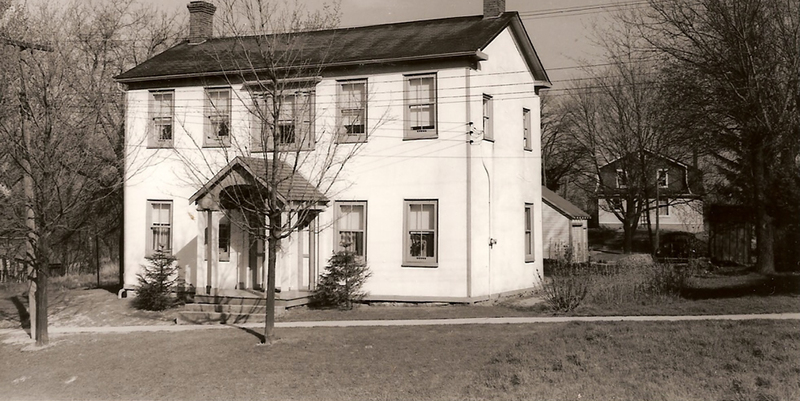 In addition to offering information sessions, tours and having guest speakers, the Society maintains the Streetsville Archives, located at 4415 Mississauga Rd in the Leslie Log house built in 1826. Our hours of operation are Wednesdays and Sundays from 1:00 pm - 4:00 pm excluding Statutory Holiday Weekends. Check out our list of upcoming events including walking tours & board meetings. Come visit our Gift Shop for memories of Historical Streetsville. Streetville Historical Society is on Facebook. Come like us and talk with other patrons of Historical Streetsville. View our quarterly newsletters, past and present.